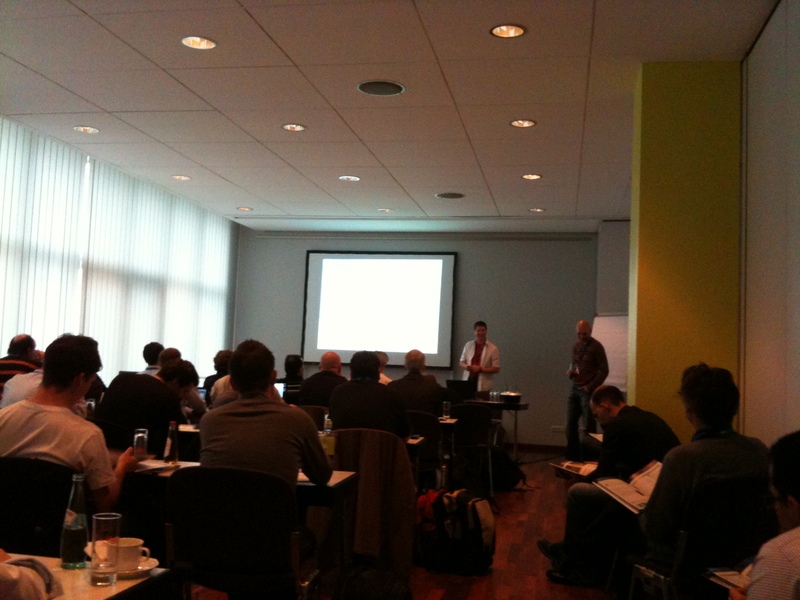 Today I had the opportunity to attend part of Eclipse Modeling Day organized by Eike Stepper and Sven Efftinge at JAX 2010. 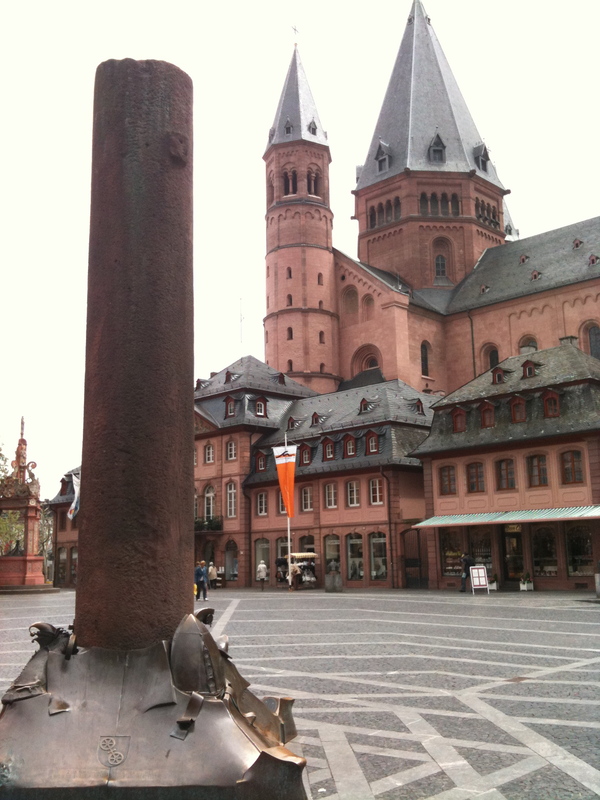 On top of that, it was a nice day in Mainz! After Ed’s talk, I heard a modeling case study by Stéphane Barbey from Paranor AG. They managed to create a sophisticated workbench from banking software using a slew of Eclipse modeling technologies. Personally, I think the modeling community at Eclipse needs to start formalizing case studies like this as it really shows what people do with the technology in the real world. 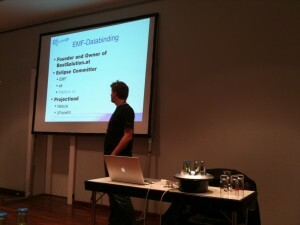 Maybe the Eclipse Foundation can help create some case studies similar to what we did with RCP for the Eclipse Modeling community? 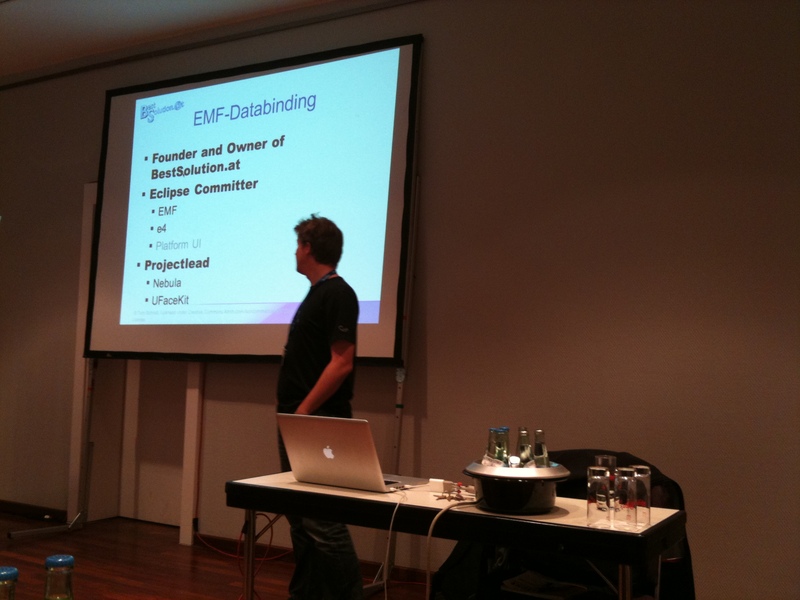 I always forget about the great example that Tom put together that demonstrates the power of EMF, CDO and Databinding. After Tom’s presentation I succumbed to jetlag and went for a nap, but I’m sure Ed Merks will have a nice write up of the event. I saw him taking pictures throughout the day. On a side note, the Modeling Day was so well attended at the conference that we had to move rooms. For some reason I don’t completely understand yet, Europeans love modeling technologies. In the end, it’s exciting to see the Eclipse modeling community growing each year.